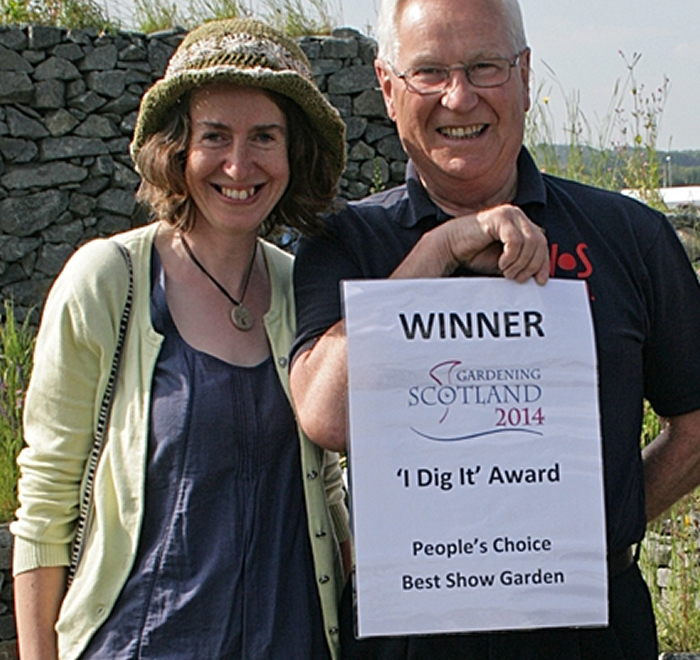 Best New Show Garden team Gardening Scotland 2012. 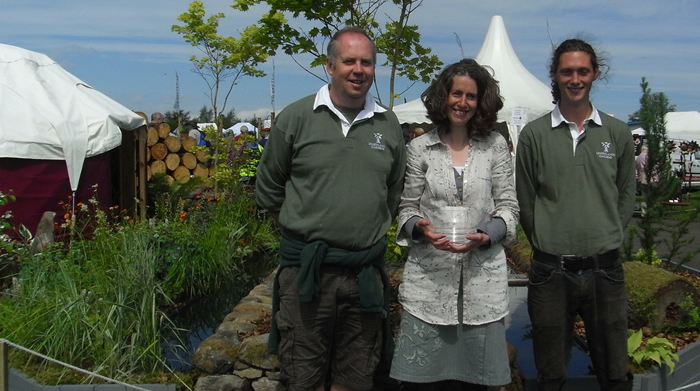 Jayne with Murray Parsons and David Sinclair of Greenlands Gardens. 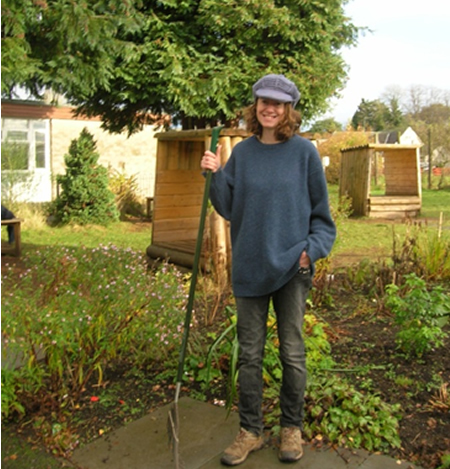 Jayne studied horticulture and garden history at the Royal Botanic Gardens in Edinburgh and has a particular interest in Period Gardens, working with the National Trust for Scotland and owners of Period Homes great and small. 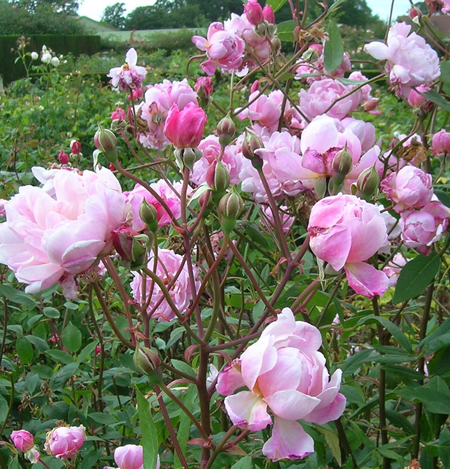 Jayne’s horticultural career began as a gardener and her designs remain full of the vitality plants. 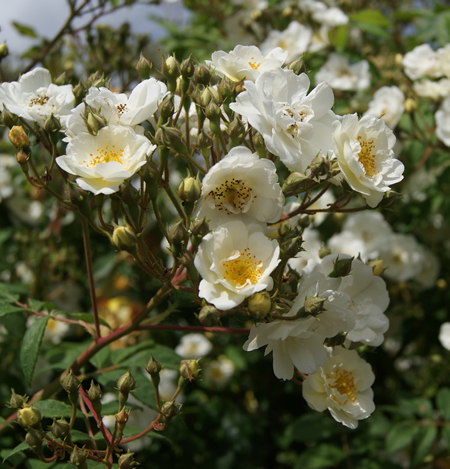 Jayne was awarded the Royal Horticultural Society Centenary Prize in 2006. Ivy Maud Design was established in 2008 and has gone onto to be selected for the Avant Gardens Festival and to win awards for two prestigious gardens at Gardening Scotland; designed for Macmillan Cancer Support and Poppy Scotland. 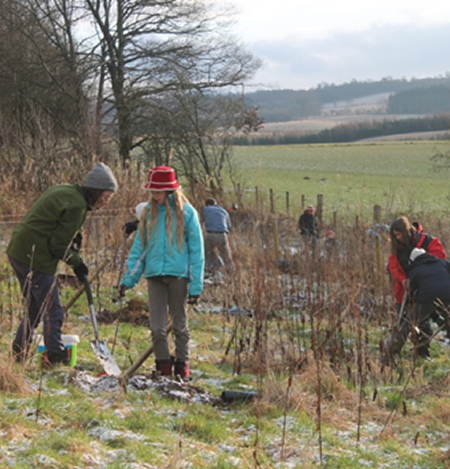 Community gardening is a real passion and Ivy Maud Design supports a number of school and nursery garden projects. 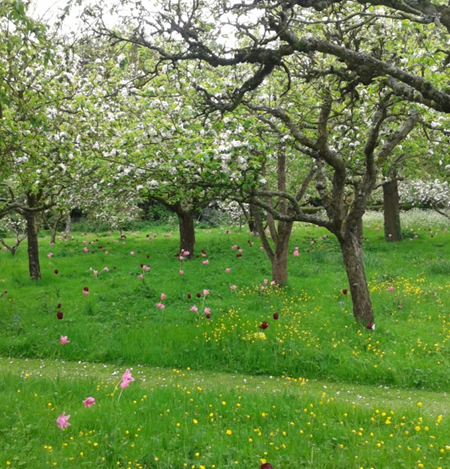 Jayne was the founding chair of a local allotments group and volunteers as a community orchards advisor passing on her knowledge from her training by Forth Valley Orchards. 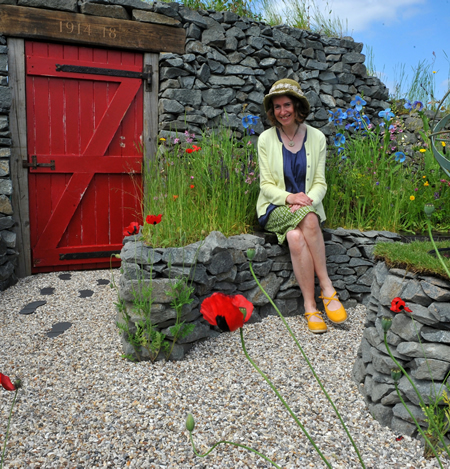 Jayne with Norman Muir, chair of the West of Scotland Dry Stone Walling Association receiving one of the awards for the Ivy Maud Design 2014 Show Garden at Gardening Scotland. Jayne Whitehead has a professional background in Health and Safety including 10 years experience with HSE and a post graduate diploma in health and safety. Ivy Maud Design holds Public Liability Indemnity Insurance. I love our garden. The design is beautiful, it is all that I hoped for, and more. I especially appreciated being included throughout the process. All those on site were both friendly and professional. I am looking forward to the beginning of spring and the opportunity to sit under my new arbour and watch the garden grow! Jayne guided us through the process and helped us bring our dream for our front garden to fruition. The whole process was nothing but a pleasure, and we would have no hesitation in recommending Ivy Maud Design. Thank you so much for all your help with our garden. It was hugely appreciated and we are really enjoying our new space. We hope you will come back and see what else we’ve done! Once again, thank you for your noble work in creating an elegant garden for us. At the age of 87 you have given me added incentive to stick around long enough to see it develop in the coming years. Dear Jayne, Thank you- I am really delighted with the very imaginative design you’ve created for my woodland garden. Dear Jayne, Thank you so much for your thoughtful and creative design work in our front garden – we love it! We feel very blessed indeed. Jayne’s design provided the framework which has transformed an arid stretch of tarmac into a small and intimate garden that, still in its first year, has given us endless pleasure and interest. Jayne is an instinctive garden designer. Her natural sense of design and abundant horticultural knowledge combines perfectly with a strong practical sense. We now have a garden that all six of us delight in and our visitor’s exclaim at.